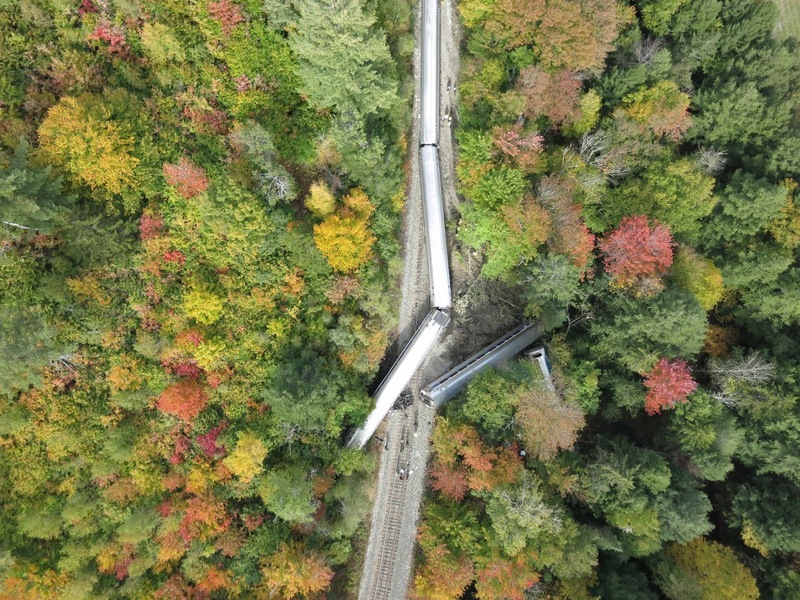 VermontView and MinnesotaView were conducting joint Unmanned Aircraft Systems (UAS) training in Vermont when they responded to an emergency request from the state to gather overhead imagery of a train that derailed in Northfield, VT. Within 45 minutes of the request the joint UAS team was headed to the site. The team immediately established a launch site, conducted flight operations, and then provided to the imagery to the incident commanders on the site. The imagery is being further processed to assist in the longer term recovery and investigation efforts. UAS imagery of the train derailment. The greatest strength of AmericaView is the network of remote sensing professionals who share knowledge and expertise. It is this network that enabled the sharing of UAS best practices, which in turn resulted in application of remote sensing technology to aid decision makers. The UAS team at the incident command post.